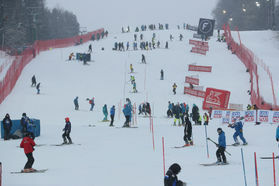 FIS had already appointed snow controllers for world cup races in upcoming season. Markus Meyer, Director of technical disciplines in world cup for ladies and a close colleague of world cup director Atle Skaardal, will be checking the snow surface in Maribor for the race on 1st and 2nd February 2019. Snow control in Maribor is scheduled for 23rd January 2019. At the same time a technical delegate had been appointed also. At 55th Golden Fox the representative of FIS will be a great former Czech alpine skier, Bohumir Zeman.